This is a 5 pc. 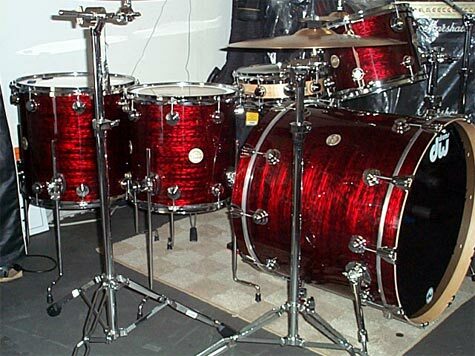 DW Collectors set in Onyx Red with 24X20 Bass, 9X13, 14X14, 16X16 Toms and a 6X14 Edge Satin Snare Drum. 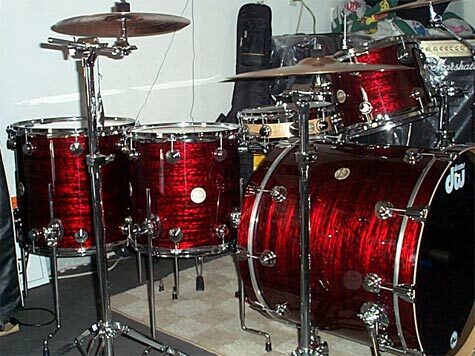 Cymbals upgraded to a Customs 18 Crash, 16 Crash,14 Hi-Hats and 20 Medium Ride. Just replaced the Snare Drum from a 5X14 Edge to a 6X14 Edge and it sounds great. Still working on the cymbals. Thanks for looking Keep on rocking.